SKU: GHOODBCW. Categories: Goldtest, Ecole de Ski, Crazy soldes, Sous couches, Femme, Tous les produits. Tags: Sous Couches, Femme. Worn the world over, designed in your own backyard. Our new swiss ski school sweatshirt hoodie is inspired from our original 1970 design. 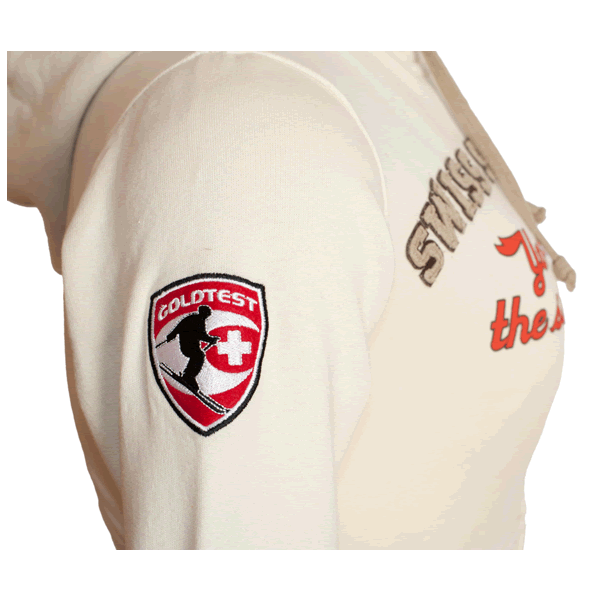 Comes with a large, swiss ski school logo relief stitched at the front.